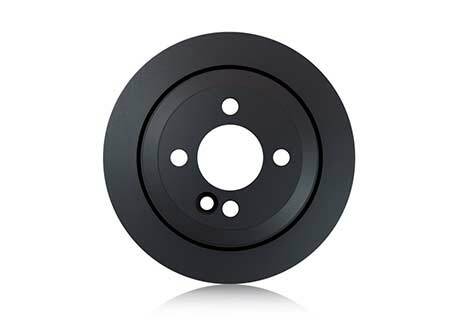 EBC Brake Discs - Street and Track discs - Euro Auto Breakers & Engineering Ltd.
EBC is proud to be one of the only companies selling a British manufactured brake disc. These discs are made in our own casting foundry in the UK from a unique material called “discalloy”. The high quality grey iron includes copper to increase thermal conductivity and wear properties. 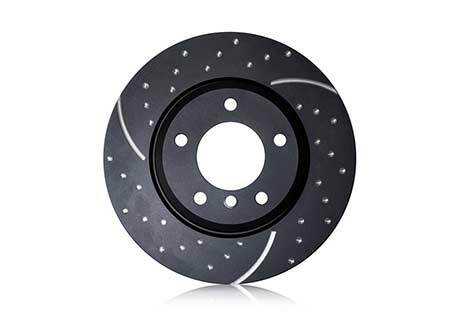 This is an OE quality replacement disc, the perfect replacement disc for any car. Black Geomet coated for looks and corrosion protection. USR SLOTTED BRAKE DISCS The narrower multi slot design of the Ultimax sport disc and the progressive angle at which the slots are machined creates a quiet running sport disc. Made in the UK using British made castings. A great choice for prestige fast street cars where disc slot wind noise is required to be at a minimum. Black Geomet coated for looks and corrosion protection. 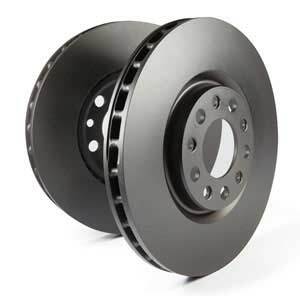 GD SERIES GROOVED & DIMPLED BRAKE DISCS Featuring British made high quality castings these GD discs have wide aperture grooves that dispel dirt, dust and water better than any design and are a superb choice for off road and street driving alike. 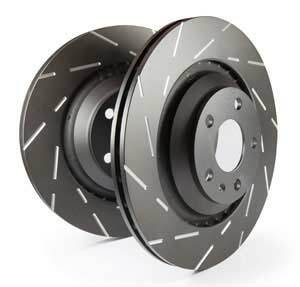 These discs run cooler and ensure flat and parallel pad wear to improve braking but these discs DO MAKE certain disc noise which for some people is an important consideration. 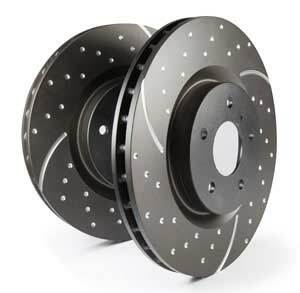 If disc wind noise is totally unacceptable to you, please opt for our USR or D series discs. 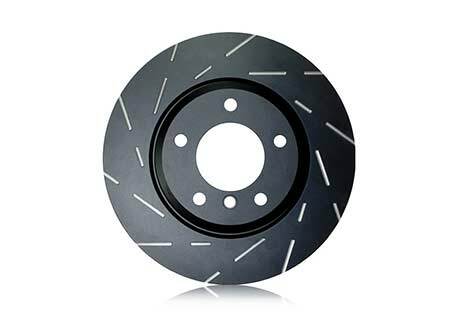 Many performance drivers, however, do choose the GD series because of its outstanding benefits in cooling and cleaning vehicle brakes in the pad contact area. Black Geomet coated for looks and corrosion protection.